We’re always decrying the rise of the consumer culture within the church. But how should we expect people to act when pastors act like CEOs marketing Jesus as a product? The Bible uses many colorful words to describe the church. It’s a family, a body, a fellowship, a holy people, a flock, and more. In my previous post, I wrote about Why It's A Bad Idea To Run A Church Like A Business. In today’s post, I want to get more specific about why. It’s not that there are no business aspects to leading a local church or denomination. Much like a family is better off when we manage our money and time more effectively, most pastors would serve Jesus, their church and their families better if we used good business principles to manage our time, energy and resources more efficiently, too. But using wise business principles is not the same as running a church as though it was a business. Here are three ways running a church like a business can become problematic. In too many churches, we tell our guests to “sit back, relax and enjoy the service” (in other words, act like customers), then we get upset when they make demands or leave for another church that offers more of what they want. If we treat church members like customers, they’ll be more than happy to act like customers. While there’s a lot of finger-pointing at the rise of a consumer culture in new, seeker-friendly churches, the owner/customer model happens in churches of all types. Big and small, old-school and new-school, high and low liturgy, denominational and nondenominational. When the pastor acts like they own the church, church members will either push back, give in, or leave. The one thing they won’t do is act like the church. Because, in this model, they’re not expected or encouraged to. The result? Burnt out pastors and shallow members. Church members are not supposed to be passive customers. We’re supposed to be active participants in the ministry of the church. But that doesn’t mean it’s okay to treat church members like worker drones. Pastors are supposed to equip the saints to do the work of ministry. 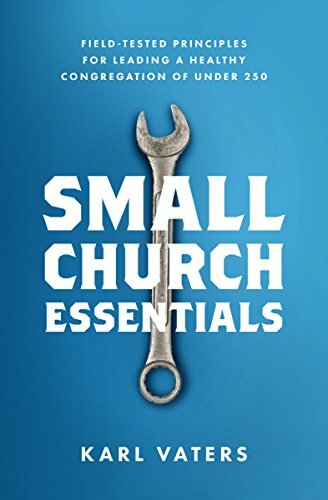 But when the church becomes a business, it can be very tempting for pastors with control issues to start ordering people around like bosses managing employees.